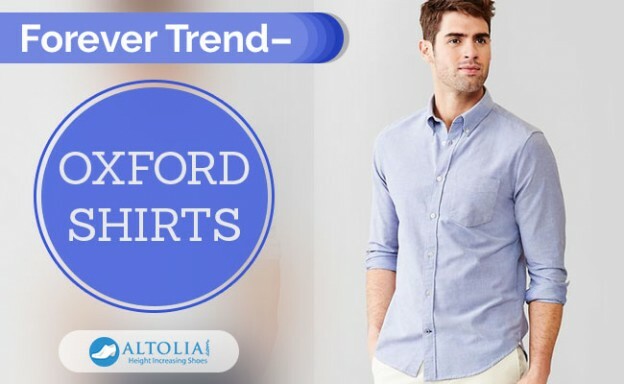 Before we start, let us brief you what Oxford shirt is: Oxford shirt is an unstructured dress shirt that has the flexible line between formal and casual, making it perfect for your minimalist look. You can go for either short sleeve Oxford shirt, or a long sleeve Oxford shirt. Short sleeves are perfect for your summer look whereas long sleeves are good for layering. Because of its casual impact, this shirt won't go with a full suit; better to stick with a dress shirt. If you want to style your Oxford shirt then go for sportcoat or a blazer for a classy look. This style trick always work. Choosing the style of Oxford short is merely your choice; you can even go for pocketed shirt. You can roll up your sleeves especially if you are wearing beneath a jumper. You can try this without any second thoughts. The collar of your shirt should be comfortable around your neck without being too loose or tight. Fit one finger when you finalize one for yourself. The start and end of the shoulder should be accurate. Arm holes should not be restrictive. If you are untucking your shirt, make sure your shirt end around the microtch area. Avoid any bunching if you want a perfect sleeve length. Before finalizing your Oxford shirt, try it perfectly. On That Note: If you want to expand your wardrobe, Oxford shirt needs to be there and it is recommended. It is a versatile and a classic piece that can be worn in almost every occasion be in at BBQ, workplace or lunch date. So, buy one for yourself.